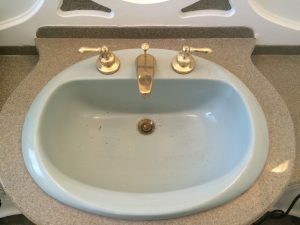 Bathroom basin upgrade - Callaway Plumbing and Drains Ltd. | Callaway Plumbing and Drains Ltd.
CALLAWAY Plumbing and Drains Ltd. was contacted to replace a porcelain bathroom basin the existing was an older blue basin with a brass plated faucet and drain. 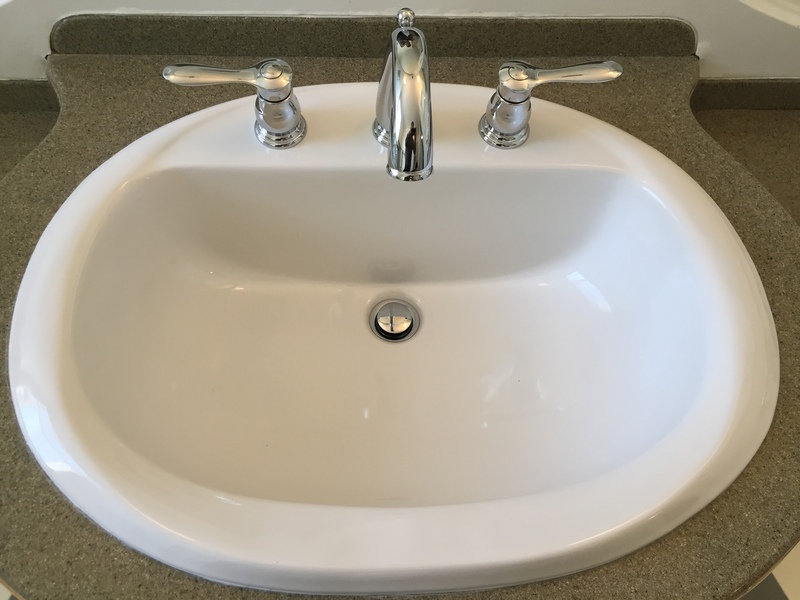 We measured and then ordered the new white American standard porcelain basin and a new Grohe faucet to match the existing shower valve in the same bathroom. CALLAWAY Plumbing and Drains Ltd. then removed the old porcelain basin without damaging the countertop to then install the white American standard porcelain basin and Grohe faucet. Help is just a Call-A-Way! © 2019 Callaway Plumbing and Drains Ltd.